As you'll see, much of it is the standard sort of wording that you would expect on any kind of medication - keep away from children, do not exceed the stated dose, do not use after the expiry date, if symptoms persist... - hang on! Let's look at that one. If symptoms persist of worsen consult your doctor. 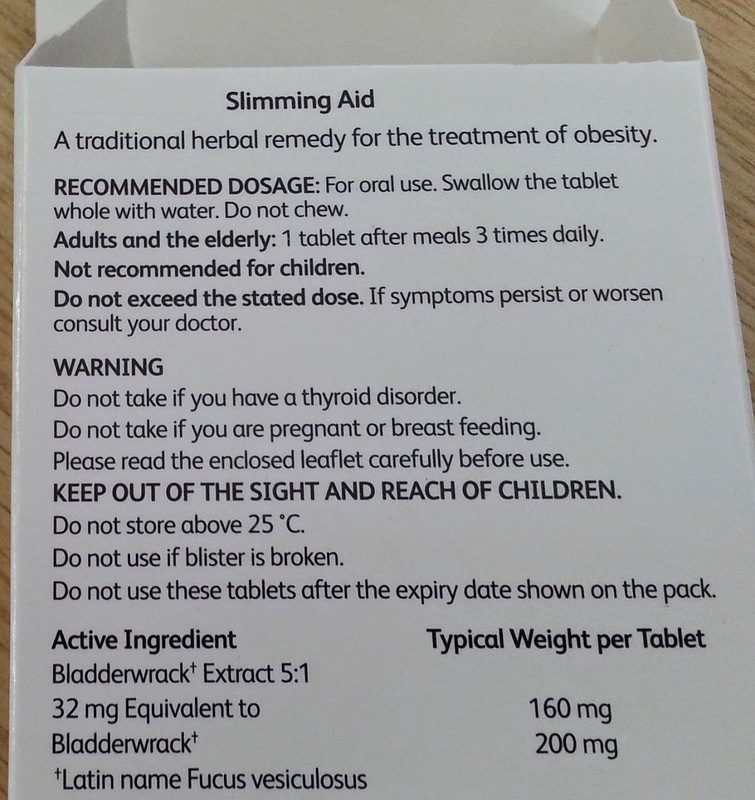 This is on a box of slimming pills. The "symptoms" I presume would be - being well built? So - if I take them, and I'm still overweight, I should consult my doctor? "Hello Doctor, I appear to still be well upholstered, despite taking one of these slimming pills right after my usual extra big MeatBurger and fries. I even washed it down with a fried chicken milkshake. Do you think that the pills are faulty?" "My God man! You're supposed to take one of these little chappies three times a day! You can't expect results from just taking one! Now get out of my office before I prescribe you some antibiotics!" Something here is amiss, I fear. Fried chicken milkshake, Hull must be heaven!! !